Our company is one of the preferred choices of clients for manufacturing, trading and supplying Portable Electric Steam Boiler. Easy to operate and lightweight, the proffered range of streamers is vastly used in textile industries. Offered textile steamers are manufactured in adherence to the industry norms and receive huge appreciation for their tough construction and constant performance. 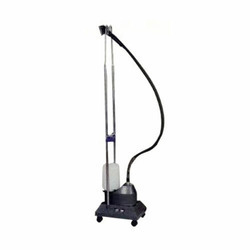 Looking for Garment steamer ?